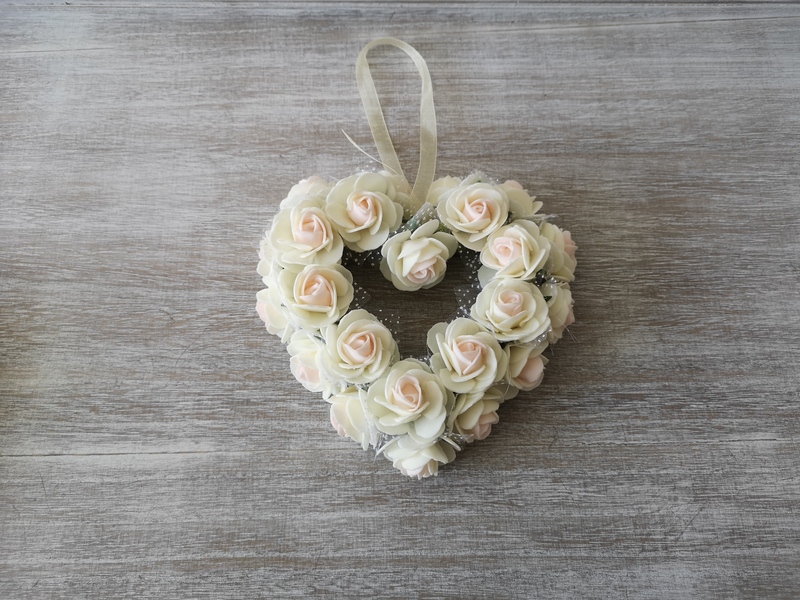 Beautiful white rose heart wreath. These roses are on a styrofoam base and has lace for hanging. Perfect for weddings, anniversaries or other romantic occasions. Great photo props.